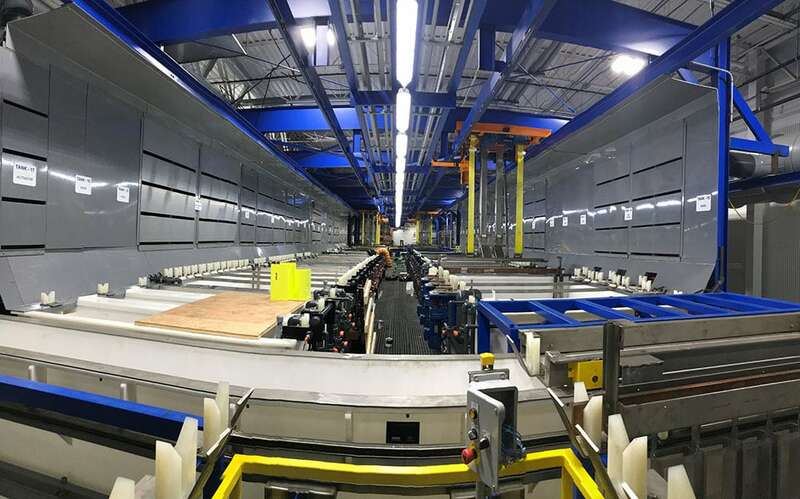 Vanaire designs and fabricates all types of corrosion-resistant exhaust/fume hoods for a wide range of industrial and commercial applications. Fume hoods play a critical role in industrial environments where toxic contaminants are present. These hoods capture the fumes and route them through a ducting system, where they can be filtered and removed from the indoor space. Vanaire builds high quality duct systems that are approved according to Factory Mutual (FM) requirements. 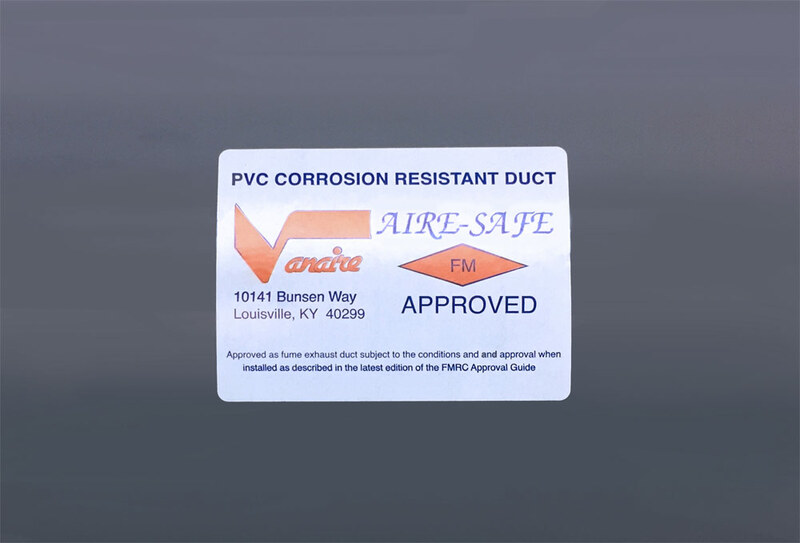 Our tech-savvy engineers have designed a brand-new PVC ducting system called “Aire-Safe” that is designed to exhaust non-combustible fumes that provoke corrosion with no need for automatic sprinkler protection. We design and manufacture industrial duct systems and Factory Mutual duct applications strictly adhering to the SMACNA Manual on Thermoplastic Construction. Vanaire certified FM duct systems don’t require automatic sprinkler protection.